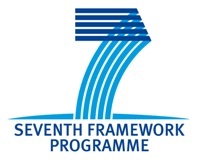 The European Commission has published details of the 2012 Work Programme under the Seventh Framework Programme for Research and Technological Development (FP7, the EU’s main research funding instrument). Across a number of themes €7 billion is available. Development of technologies with a view to patient group stratification for personalised medicine applications. Innovative approaches to solid organ transplantation. Medical technology for transplantation and bioartificial organs. Innovative Strategies for translation of stem cell based therapies in regenerative medicine (European Union-Australia cooperation). Targeted nucleic acid delivery as an innovative therapeutic or prophylactic approach. Support for international rare disease research. Clinical utility of -omics for better diagnosis of rare diseases. Databases, biobanks and ‘clinical bio-informatics’ hub for rare diseases. Validation of -omics-based biomarkers for diseases affecting the elderly. Statistical methods for collection and analysis of -omics data. Systems medicine: SME-driven research applying systems biology approaches to address medical and clinical needs. Systems medicine: Applying systems biology approaches for understanding multifactorial human diseases and their co-morbidities. Preparing for the future research and innovation activities in systems medicine. Integrative systems biology and comparative genomics for studying human ageing and/or most common age-related diseases. Investigator-driven clinical trials for optimisation of management of elderly patients with multiple diseases. Diagnostics for infectious diseases in humans. Co-infection of HIV/AIDS, malaria, tuberculosis and/or hepatitis. Co-morbidity between infectious and non-communicable diseases. Prevention and treatment for HIV/AIDS, malaria and tuberculosis. Low-cost interventions for disease control in resource poor settings. Innovative approach to manage diabetes. Investigator-driven clinical trials for type 1 diabetes research. Preclinical and/or clinical development of substances with a clear potential as orphan drugs. Observational trials in rare diseases. Best practice and knowledge sharing in the clinical management of rare diseases. Technological approaches to combating sensory impairments. Biomarkers and diagnostics for chronic inflammatory diseases of the joints and/or digestive system. Improving the organisation of health service delivery. New methodologies for health technology assessment. Social innovation for active and healthy ageing. Research on health systems and services in low- and middle income countries. There may be relevant topics in other themes. For example, the Infrastructures theme includes the topic: ‘Facilities for translational research in medicine’. As usual, proposals should be internationally collaborative endeavours with substantial contributions from small or medium-sized enterprises. In the first instance researchers should review the theme documents. The European Commission Research & Innovation FP7 site includes full details of the Work Programme 2012. The health theme document, including indicative budgets for each topic and terms and conditions, is available here. A short guide to FP7 is available here. Depending on the call, first deadlines for proposal submission are 27th September or 4th October 2011. PERA is inviting potential FP7 applicants to ‘Innovation Platform for Northern Ireland’ events at the NI Science Park, where experts will be available to advise on the viability of applications. These events will focus on business-led opportunities. For further information see the PERA website or the Enterprise Europe NI website. Members of HSC staffs should contact Tim Cox at HSC Innovations in the first instance.